On 15 April 1961 – simultaneous air strikes were launched against three airfields in Cuba with the aim of incapacitating the island and eliminating the possibility of an effective Cuban defence against impending invasion. The early assault killed 7 Cubans and destroyed two planes. The invasion was defeated within 72 hours and 1,180 members of the invading mercenary Brigade 2506 were captured. In total, over 150 Cubans lost their lives fighting an invading force trained, coordinated and funded by the United States. The Bay of Pigs – or Playa Girón as Cubans call it – marked a watershed in US-Cuban relations and billboards at Playa Girón remind visitors of ‘The First Defeat of Imperialism in America’. Playa Girón can be viewed neither in isolation nor as the original counter-revolutionary act against the Cuban revolution. It is part of an ongoing narrative of American aggression and represents the culmination of a powerful campaign of sabotage and terrorism launched by the CIA in 1959. Bombs were laid, letter boxes blown up, water mains destroyed and sugar and tobacco plantations were set alight. Playa Girón was a project inherited by President Kennedy from his predecessor Dwight Eisenhower. Kennedy was hamstrung because his electoral campaign against Nixon was dominated by fierce interventionist rhetoric. In 1960 he evoked memory of the Monroe Doctrine by declaring he would “not let the Soviet Union turn Cuba into its base in the Caribbean”. However, now in office, Kennedy feared that overt US involvement could provoke full-scale war with the USSR. The CIA’s failure to provoke widespread rebellion through terrorism and sabotage prompted a shift in US strategy from fermenting insurrection to coordinating invasion. This was based on a four point plan inspired by the model of indirect US involvement in Guatemala against Jacobo Árbenz. The programme involved the establishment of a political entity outside Cuba aimed at encouraging the formation of counter-revolutionary groups; the formation of a counter-revolutionary front on the island under CIA influence and the training of paramilitary forces to infiltrate the country and improve underground operations. All this would be underpinned by a pervasive propaganda offensive against the Castro government. The psychological impact of a concerted propaganda onslaught was central to Washington’s strategy for success. Radio stations such as Radio Free Cuba and Radio Swan were established by the CIA and funded by adverts for large corporations like Coca-Cola, Colgate, Pan American and Good Year. In October 1960, Radio Swan ran a feature – corroborated by falsified documentation – declaring that the revolutionary government planned to seize all children and send them to Russia. This fabrication was reinforced by the US-sponsored Operation Peter Pan which, in partnership with the Cuban Church, removed 14,000 children from their families within Cuba. This severely discredited the Church within Cuba and typifies the extant misinformation which contaminates the Western view of Cuba and is exacerbated by the ancestors of Radio Swan – such as Radio and Televisión Martí – which continue to regurgitate lies about Cuba. Victory in Cuba required the US-backed mercenaries to hold Playa Girón long enough to declare a provisional government, gain international recognition and appeal for direct military invention from the United States. The primary assault was to be supplemented by small troop incursions in various places throughout Cuba and, if necessary, would be buttressed by the US air force. The dissident government – headed by former Cuban Prime Minister José Miró Cadona – was known as the Revolutionary Council or, as Castro preferred, the Council of Worms, and the tactics employed bear striking resemblance to those used during the failed coup against Hugo Chávez. As with the coup against Chávez, however, history has resoundingly shown that the imperialist offensive was an unmitigated disaster. Popular Western accounts attribute American failure to US mistakes and deficiencies including the failure of diversionary paratroopers to land elsewhere; Kennedy’s decision to reduce exile-piloted air cover and delay the use of US planes; personal clashes between the President, senior advisors and the CIA; and an ignorance of local geography. All of these appraisals ignore a number of key factors including the actions of Cuban military leaders, the achievements of the revolution and an ability to mobilise popular support. As Cuban General José Ramón Fernández declared in 1999, “the mercenaries came well organized, well armed and well supported. What they lacked was a just cause to defend. That is why they did not fight with the same passion, courage, conviction, valour, firmness, bravery and spirit of victory as did the revolutionary forces”. In this sense, victory can only be understood as a product of the revolution. Fidel Castro’s military leadership, forged during the guerrilla struggle in the Sierra Maestra, was crucial in ensuring Cuban victory. Castro knew Playa Girón intimately and had been planning against a foreign invasion since the revolution’s triumph. Landing points throughout the island were heavily fortified whilst Castro – wishing to avoid the same fate as Nasser in Egypt – had dispersed and camouflaged his few planes. Any out-of-service aeroplanes were grouped together and displayed as bait to hoodwink attackers. Castro’s hidden air force struck the invading landing squad on the morning of the attack as T33 jets chased away supply ships. The 5th Battalion refused to disembark under Cuban fire as the small but pugnacious air force dealt a fatal blow to the morale of mercenary paratroopers. The main reason for Cuban victory, however, can only be explained through the achievements of the revolution. By 1961, great strides had already been made in favour of the people: agrarian reform and land redistribution to 100,000 tenant farmers and sharecroppers; nationalisation of large industrial and commercial corporations and banks; literacy campaigns; reduction in rates for electricity and telephones; urban reform and house construction; the rent-control act; and public beaches – previously off limits to black people – were opened to all. Counter-revolutionary guerrilla forces in Escambray were undermined by advances made possible by the revolution. Before 1959, there was no infrastructure in Escambray and disease was rife – but Castro introduced new electricity and sewer systems, 600km of new roads, 22 new schools and 5 new hospitals. US mistakes did not lie in military tactics or the underground apparatus, it lay in a fundamental miscalculation of Cuban reality. Invading mercenaries relied on bullets, but Cubans relied on passion, zeal and revolutionary pride. It would have been hard to find a region in Cuba which felt the profound effects of the revolution more powerfully than Playa Girón. Newly created co-operatives increased the daily wage of local charcoal workers from 1 peso to 10, the price of essential goods was reduced, the first hospital was built and the area was flooded with volunteer teachers. At the time of the invasion, Cuban people were at their peak of patriotism and revolutionary fervour. This popular consciousness allowed Castro to expand mass mobilisation from state organs – such as the Revolutionary National Police and the Rebel Army – to popular militias as the population rallied behind the revolution. The paid mercenaries of the invading army were the diametric opposite of the volunteer combatants fighting for a just cause as espoused in the guerrilla doctrine of Castro and Ernesto Guevara. Castro’s victory at Playa Girón discredited and emasculated Cuban annexationists and reinforced his political mandate. It radicalised the population and broke irrevocably with any possibility of a liberal or social democratic revolution. 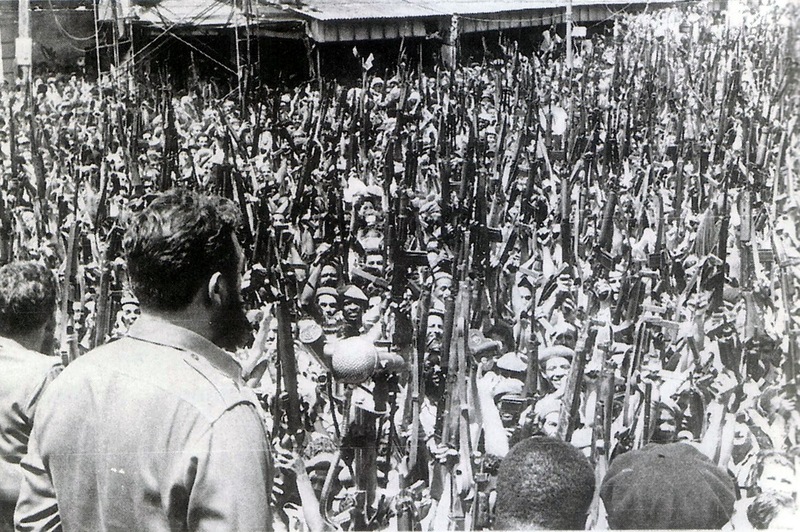 On 16th April 1961 – at the funeral of those killed in preliminary strikes – Castro declared the socialist character of the revolution for the first time. In this sense, Playa Girón can be seen as an epoch changing event as it defined the future course of revolution and strengthened ties with the Soviet Union. Furthermore, as Cuban and Soviet leaders sought to capitalise on perceived US weakness and Washington hawks sought to avenge the humiliating defeat of 1961, the Cuban Missile Crisis can be seen as a consequence of Playa Girón. The class structure of Brigade 2506 is unique in Cuba’s history because – neither before nor after – has the bourgeoisie acted in such a unified way or played such a leading role in armed action. Of the 1,180 prisoners arrested, most were middle-class Catholics. There were also a number of Priests and high profile figures from the Batista era. According to official Cuban estimates, prior to the revolution the mercenaries owned one million acres of land, 10,000 houses, 70 factories, five mines, two banks and 10 sugar mills. Hence, in Castro’s address at the May Day celebrations, he championed Playa Girón as victory of the working class over the exploiting class. 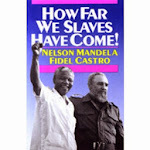 In return for the 1,180 prisoners, Cuba received $50m in compensation as well as medical supplies and food for children. Castro has compared Cuba’s compassionate treatment of the released Playa Girón mercenaries to the Miami 5. 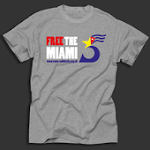 The Miami 5 remain incarcerated within America for defending Cuban sovereignty whilst the released exiles returned freely to Miami to continue agitation and aggression against Cuba. Contemporary exile groups have their origins in Playa Girón as counter-revolutionary forces were displaced permanently from Cuba to the United States. For instance, the Commanders of the United Revolution Organization – founded by Playa Girón veteran Eulalio Francisco Castro – has been responsible for over 50 bombings against Cuba whilst notorious terrorist Luis Posada Carriles was trained in Guatemala prior to the doomed invasion. Because of the literacy campaigns throughout Cuba, 1961 was declared the Year of Education – but it was also the year of education for the United States. American involvement was meant to give the mission invincibility, but this myth – along with the geographical fatalism of the Monroe Doctrine – was categorically shattered by Cuba’s courageous victory. This triumph marked the first defeat of America militarism in the region and inspired a progressive tide across the Southern Cone of Latin America in places like Chile, Argentina and Brazil – but US involvement was never far away. As Guevara stated at the height of the Playa Girón invasion, “we cannot think about peace until imperialism has been destroyed completely” – and so America has strengthened and intensified its dirty war against Cuba since 1961. From the economic blockade which causes shortages in hospitals and schools to assassination attempts and covert operations like Operation Mongoose, US foreign policy has shifted from overt invasions to encouraging insurrection. US funding, organisation and agitation in sovereign nations has characterised the post-Playa Girón imperialism in Latin America from Nicaragua to Chile. At a previous May Day rally, Fidel Castro dismissed the notion that socialism threatens American security. He declared: “What threatens the security of the US people is the aggressive policy of the warmongers of the United States. What threatens the security of the North American family and the US people is the violent, aggressive policy that ignores the sovereignty and the rights of other peoples”. Castro was speaking in 1961 – but it could quite easily have been Chile in 1973, Venezuela in 2002 or Iraq in 2003. Article by Dan Smith, CSC Campaigns Officer.